Many thanks to Jackie from Neat Sweet and Hard to Beat for hosting this fabulous Books and Brackets March Book Blog Hop. I just LOVE St. Patrick's Day. I don't know why. I'm not Irish. Well, I'm maybe 20%. That counts, right? But I pretend to be 100% Irish in March because.....well......because it's fun! 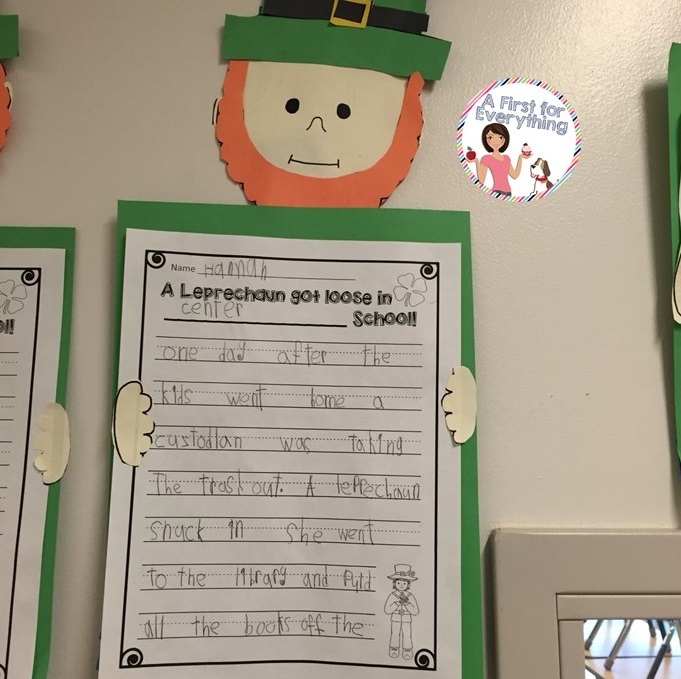 I love the whole make a leprechaun trap thing, trash the classroom to make it look like a leprechaun came, gold coins, green glitter....the whole "sha-bang". I suppose the month of March means Easter, March Madness (that's something about basketball, right?) spring, and so on. I know. I get it. For me, it's all about St. Patrick's Day. Oh...and Shamrock Shakes and McDonald's. Wow, those are good! This is my favorite read-aloud this month and it is my far a favorite for my first graders too! 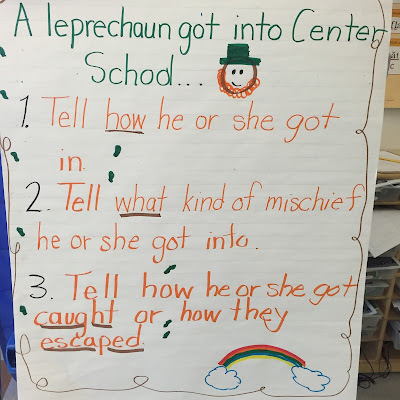 After reading the story, we brainstorm how we could catch a trap a leprechaun. We are learning how to use transitional words in our writing so we use this to help us plan out narrative. This is a FREEBIE in my store so make sure you swing on by and grab it here. We also have great fun making leprechaun traps! We continue to reinforce organizing our writing when we write about how a leprechaun gets loose in our school. 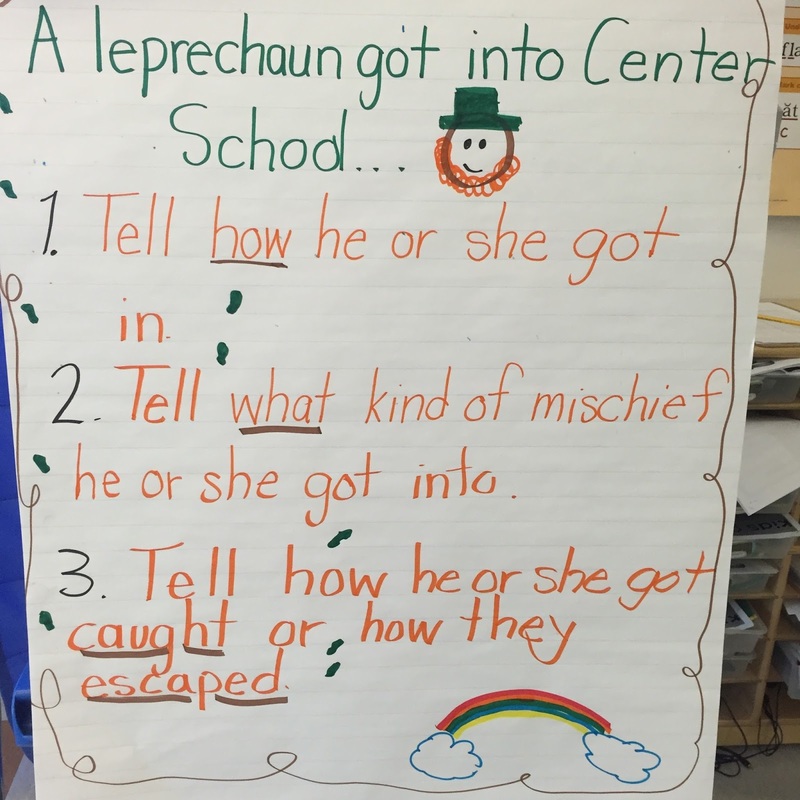 This is part of the resource Trick and Trap a Leprechaun. (It also comes with a letter to send home to parents about building a leprechaun trap) So fun! 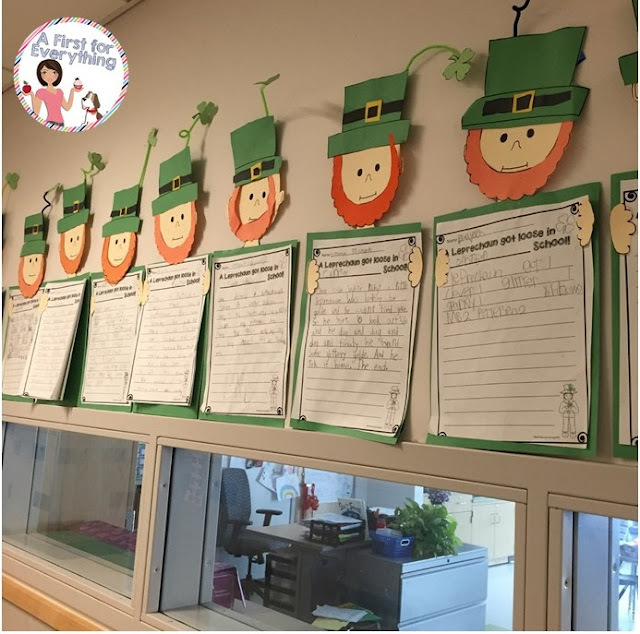 To celebrate March Madness, Easter, spring, and ST. PATRICK'S DAY, other primary teachers and I have collaborated to offer 15 book giveaways and a $75 Teachers Pay Teachers Gift Card ! I'd offer to send along a Shamrock Shake too but it wouldn't travel well and to be honest, I'd end up drinking it myself. All the giveaways will end on March 13th so make sue you hop right on it so you don't miss out! To find out what other great books you could win and to get great ideas for read-alouds and books for the month of March for your classroom click on the image below to continue the hop! We have 14 other amazing teachers who have freebies to share! 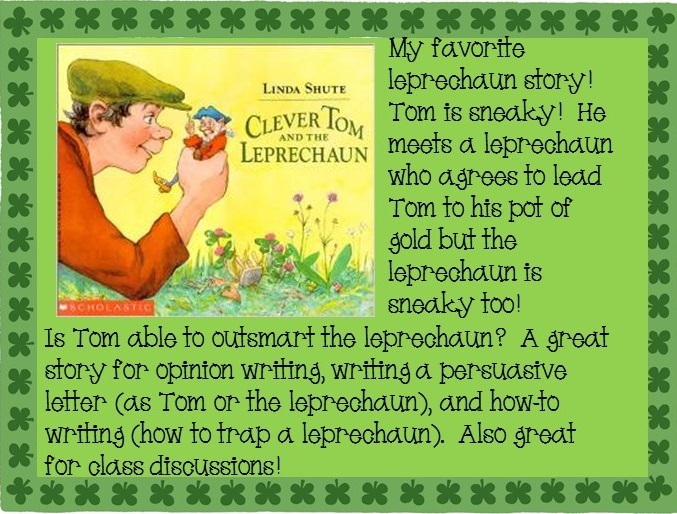 I read Clever Tom the Leprechaun every year! Thank you for adding this freebie, I can't wait to use it when we read it this year! I love your idea to build a trap! Thank you for participating in the hop! I love using this book in March! The kids always enjoy it...and I can't wait to use the freebie you shared! Thanks!! I too love this book. We reading it this coming week! Thanks for sharing! We love this book!!!! 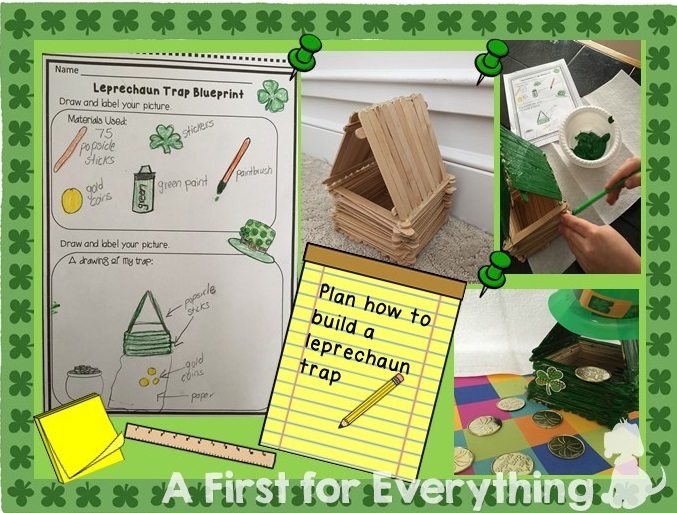 We also love building traps and trying to catch the leprechaun :) Thanks for the amazing freebie! I just love finding out about new children's books. I'll have to add this book to my collection. Your photographs are great! The classroom photographs are great!